My relationship with the guitar began with music and performance training by Puerto Rican Jazz-Rock guitarist Roberto 'Palomo' Morales around 1981. ABOVE: A monster in the making... Check-out the vintage Rush & SAGA items, as well as, the natural scenery! After an intense year and a half worth of MelBay method learning and Palomo's structured teaching of Chords and Scales, and (upon my persistant requests!) 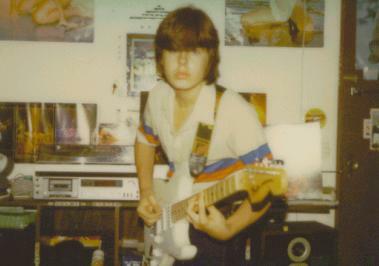 many hours of deciphering Rock-Guitar Giants riffs (Alex Lifeson, Steve Howe, Rik Emmett, Ian Critchon...), I was ready for my first Rock Band. ABOVE: Ramasses rehearsal performing 'Tom Sawyer' next to Ricaurte and his 4001Rickenbacker Bass. 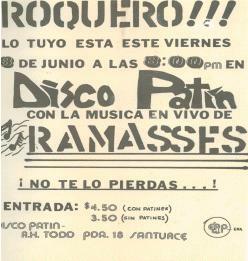 RAMASSES (Original Lineup - David Hurst: Drums, Ricardo Rosa: Keyboards, Niria Santoni: Vocals, Ricaurte Chock: Bass, your gracious host: Guitar) only performed at about a dozen "shows", the biggest event being a one-night performance at the now defunct and at-the-time near bankruptcy 'arena' DISCO-PATIN a Roller-Skating Discotheque in Santurce, Puerto Rico. The date: June 3rd, 1983. 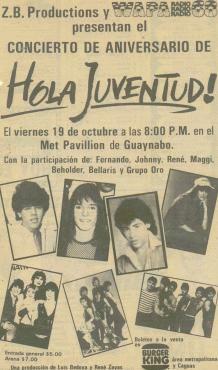 ABOVE: Flyer of the show. A full extra buck for admission if you wanted to skate!! A few days after Ramasses' show and while enjoying an Empanadilla Pizza and a Coke (the cornerstone of any nutritious meal) during a Catholic High School lunch break, a fellow student told me about a Lead-Guitar audition for an original-music-only-local-rock-band by the name of Beholder. My performance there (executed in my very un-cool school uniform in front of a half dozen seasoned college musicians) landed me the job that would entertain the living-hell-out-of-me for the next couple of years before becoming a CLASSICAL MUSICIAN (whhooo....). 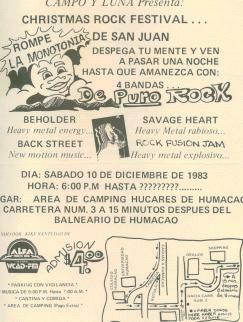 ABOVE: Flyer of my first live public performance with BEHOLDER. Date was December 10th, 1983. 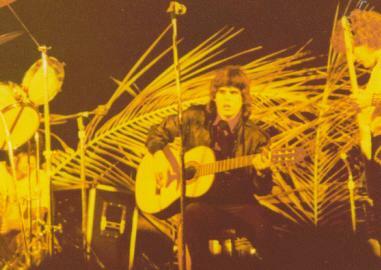 ABOVE: Photo of a Classical Guitar solo during that first show. On a state of HIGH ALERTNESS for beer can attack! ABOVE: First official photo session with Beholder. Dangerous looking individuals no doubt! 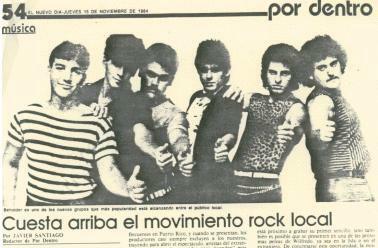 Photos courtesy of our manager Gustavo Trucco in 1983. 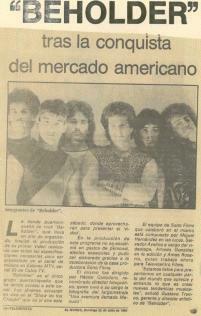 Photos courtesy of our manager Gustavo Trucco in 1984. 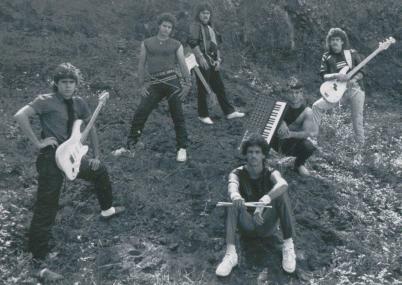 ABOVE (Left to right order): Ricardo Rosa (keyboards), Benji George (Drums), Carmelo Cárdenas (Guitar), Kenneth Tamayo (Guitar), Jeffrey Aguiar (Lead Vocals) and Ramón Cárdenas (Bass). ABOVE: Beholder climbing the ladder towards local notoriety in 1984. 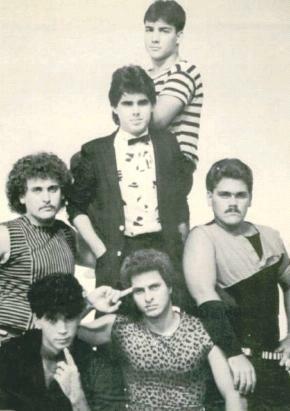 ABOVE: Sharing an event with ex-Menudo members and Bellaris. 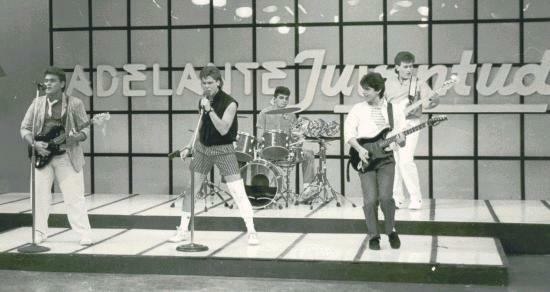 ABOVE: During the filming a local TV show in 1985 with new band members Eddie Trucco (vocals) and Eddie Bartolomei (drums). 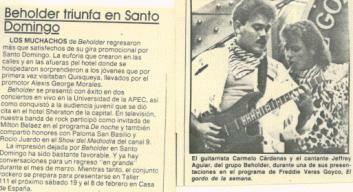 Photos courtesy of our manager Gustavo Trucco in 1985. ABOVE: LaToya for sure wanted to know what all that Beholder fuss was about! 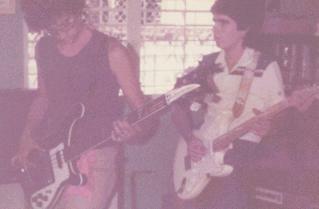 Beholder performed extensively in pubs and arenas throughout the island of Puerto Rico between 1983 and 1986. But, a few other things continued to interest me... Pursuits that brought end to my era as a BEHOLDER! One of them, was my intention attending college in the mainland United States and the second, my desire to become a CLASSICAL MUSICIAN (whhooo....). 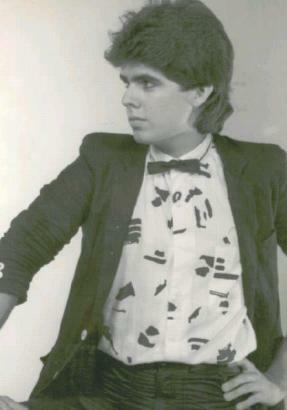 In 1986, I moved from sunny Puerto Rico to Washington, DC to study a double major (Psychology & Guitar Performance!) at the George Washington University. That was the end of Beholder for me and I wouldn't own or play an electric guitar again until December 31st, 1999. 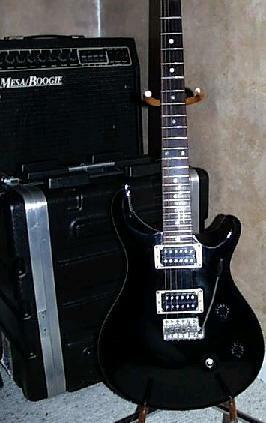 ABOVE: A look at the PRS Guitar acquired in 1999.